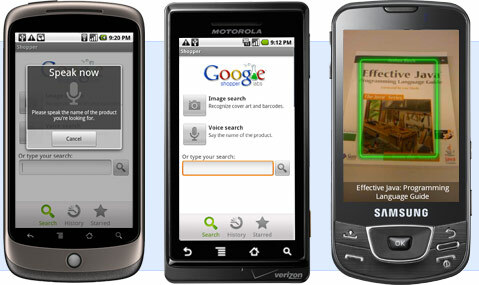 Google Shopper, is an all new mobile application for Android devices that can not only search for products, but can also scan bar codes. Your shopping experience will get a new definition from now on. This cool app for Android platform,even accepts voice inputs and then converts it to an user generated search to show all the relevant products for you to choose. You can scan a bar code and get product information along with price comparison chart. 2. Scans the covers of books and media. 5. Save your history and favorites. 6. Share your finds with friends.